Chicago: Pressworks, 1980. First edition, limited to 100 copies issued unsigned (though word persists that more copies found their way into circulation). 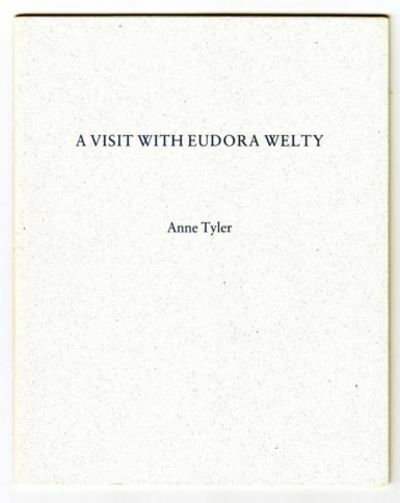 This copy is inscribed by Tyler on the title page. "For John Hooper, with best wishes - Anne Tyler November, 1995." Also the page is signed by Welty to which she added "with my good wishes April, 1995." Saddle stitched in selfwraps. Faint beginning toning on the wrap's edges. Near Fine condition. . Inscribed & Dated by Author. First Edition. Limited Edition. The images are of the book described and not stock photos.